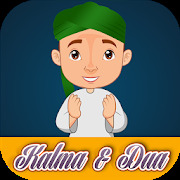 Kalma and Dua APK 1.3 Latest Version Download for Android You are downloading Kalma and Dua APK 1.3 Latest Version Download. Madani Channel APK 5.5 Latest Version Download for Android You are downloading Madani Channel APK 5.5 Latest Version Download. Al Quran-ul-Kareem APK 4.4 Latest Version Download for Android You are downloading Al Quran-ul-Kareem APK 4.4 Latest Version Download.